Our relationship with Maestro has been a long and lovely one. We connected in 2015 to rebrand the company, started by the kindest, most amazing husband-wife business duo we've ever met. They started the company in 2007. And with love, hard work and a seriously great team and work ethic, it expanded—big time. They were ready for a brand that matched their integrity, professionalism, and super approachable personality. And we were ready to create it for them. In the equipment servicing business, everything is overalls and blue and white. A man's world, really. A little boring. Kinda rigid. Not at all like Maestro, a lively company with a reputation for going the extra mile time and time and time again. 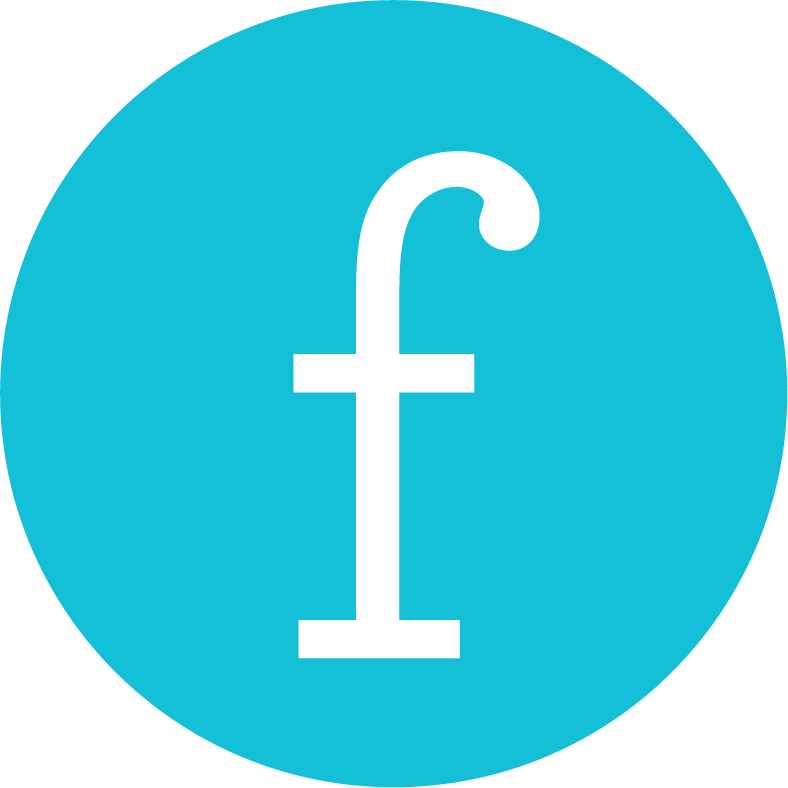 So we developed a brand that stood out, had class, was action-packed, and friendly, too. Reminiscent of a spring or coil, the M moniker is a combination of a literal piece of kitchen mechanics and a vibrant palette that implies innovation and friendliness. It's clear, this isn't your average equipment servicing company. 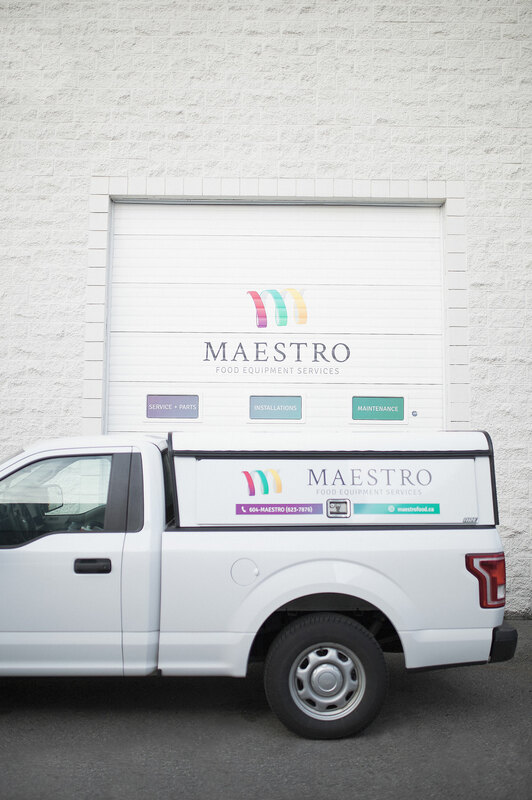 The multi-coloured logo speaks to the range of services and talent Maestro has on-site and it's flexibility to deal with every kitchen emergency. 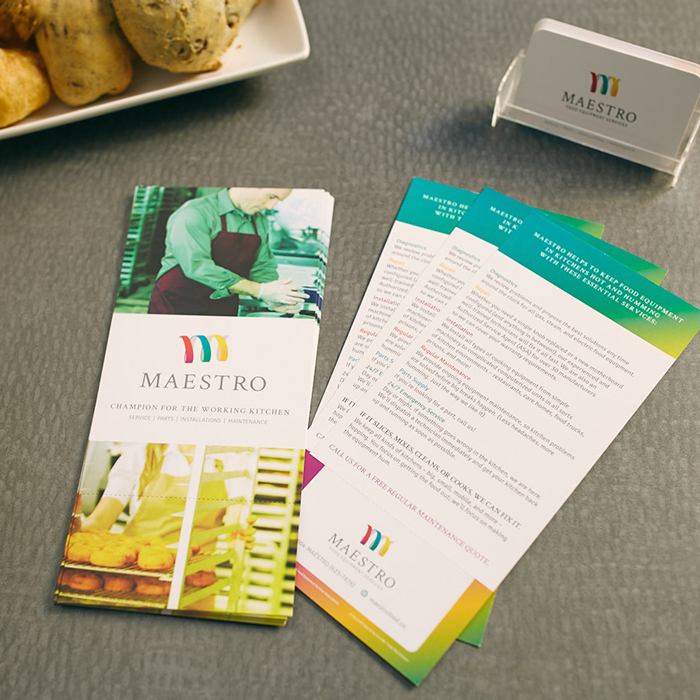 A quick leave behind designed to give a skimmable overview of Maestro—its services and the level of professionalism and kindness prospective clients can expect. It's clean, concise, and colourful; just like the biz itself. 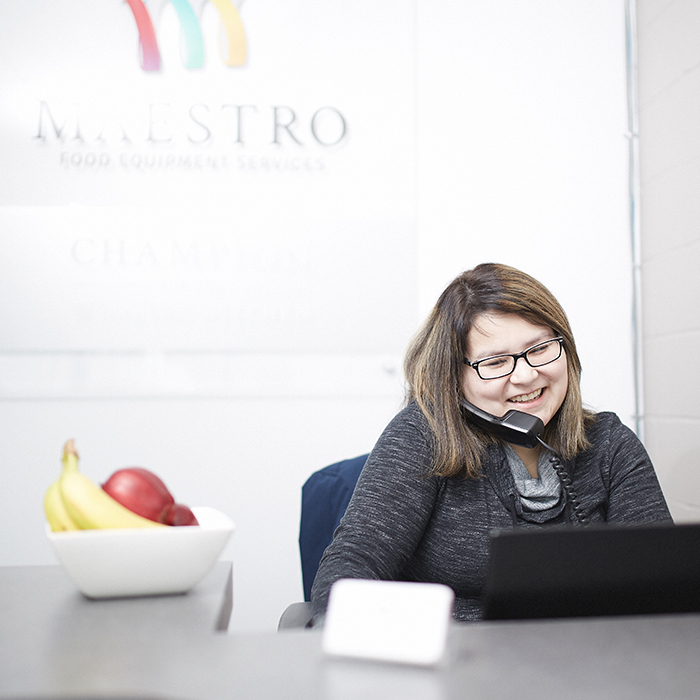 Located in an industrial area shrouded in old logos and drab palettes, Maestro's office and equipment shop is designed to stand out. From pops of colour on the service garage doors to a bold entrance window vinyl, the physical location is all class. The new website was a big deal for Maestro—for a decade they had an old one-page HTML site with a picture of a truck on it. It was dated and, frankly, detrimental to their biz. We overhauled the site starting with a WordPress template. 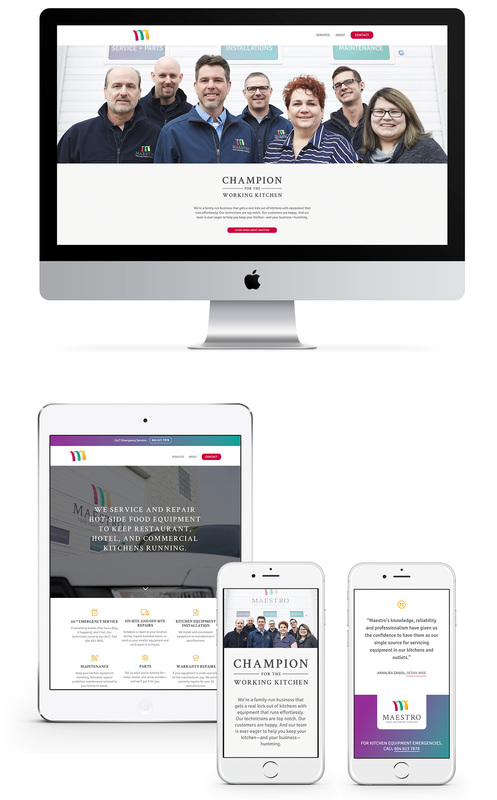 We wrote, designed, and developed the site to be simple, friendly, bright, and brilliant. Like the company itself.